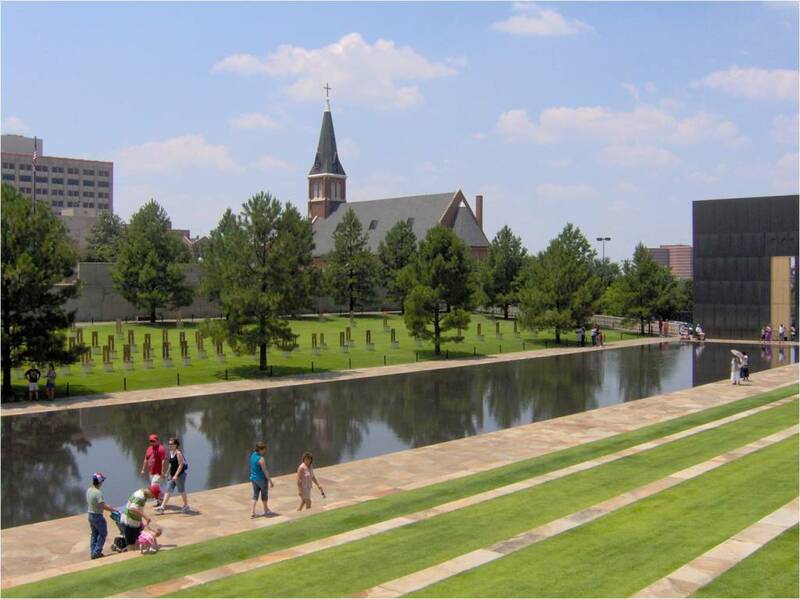 The Oklahoma City National Memorial is directly across the street from St. Joseph Old Cathedral. It was erected to memorialize the lives lost and those forever changed in the 1995 bombing of the Oklahoma City Alfred P. Murrah Federal building. It was officially opened in February 19, 2001 and features one of the nations top museums. St. Joseph Old Cathedral was severely damaged by the bombing and had to be extensively repaired, while the old parish rectory had to be demolished. 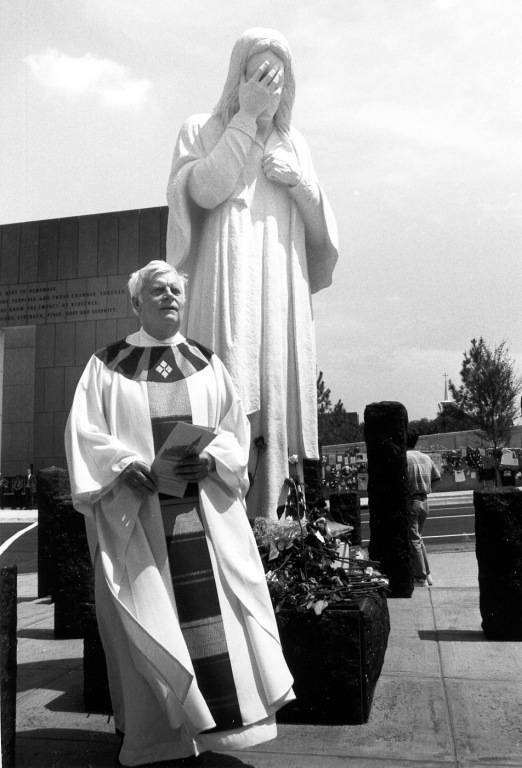 To further memorialize that day a statue entilted "And Jesus Wept" was erected in the place of the old rectory. As you make your plans to visit the National Memorial we encourage you to attend Mass here at the beautifully remolded Old Cathedral. Mass is weekdays at noon, Saturday at 4:00 PM, and Sunday at 8:00 AM, 10:00 AM, 12:00 noon (en Espanol) and 4:00 PM.